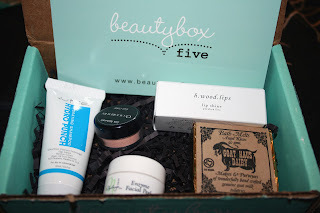 One of my favourite subscriptions is Beauty Box 5. They have been consistently getting better and they listen to their customers. 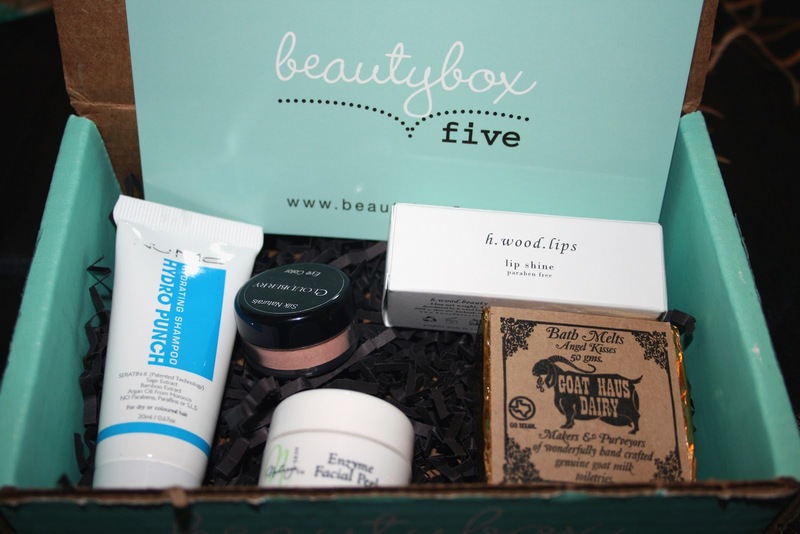 The subscription is $12 a month US and they are really good to their Canadian customers. They also include a product card which they didn't in the beginning, because they listened to the customer! The first item in the box is the Nume Hydro Punch Hydrating Shampoo. 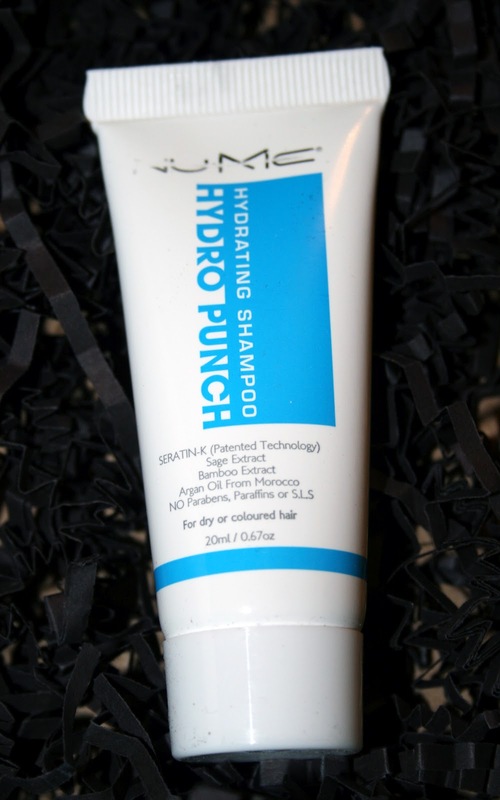 It's formulated for dry or coloured hair with Argan oil. It uses Sertain-K protein complex. I know others have received this in previous boxes and there's been mixed reviews. Since I *just* dyed my hair at the salon, I'm planning on sticking to shampoo/conditioner for coloured hair to try and keep the colour fresher longer. Full size retails for $24.99 for 250mL. 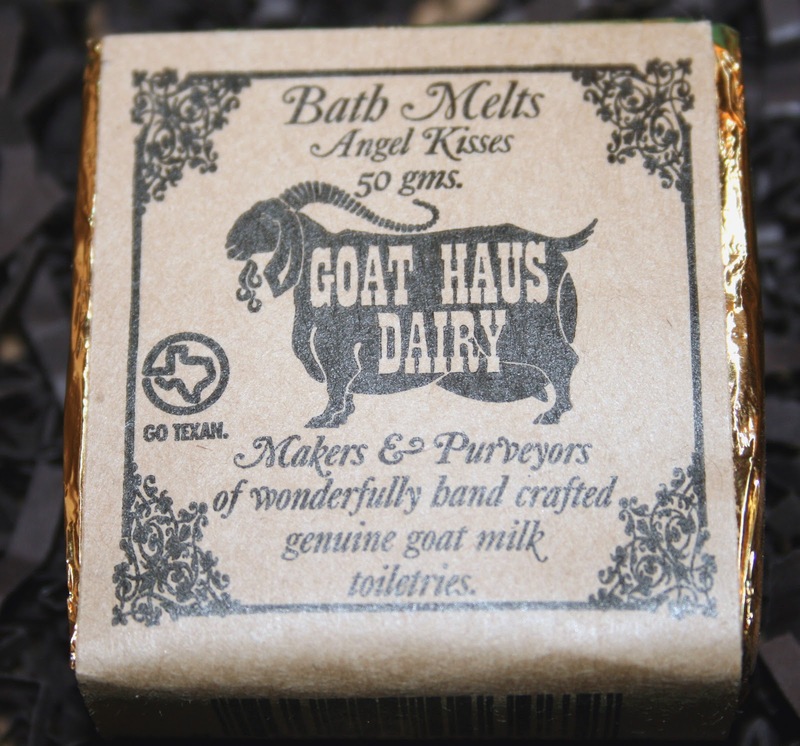 Sample size is 20mL valued at $2.00. Full size retails for $40.00 for 2oz. 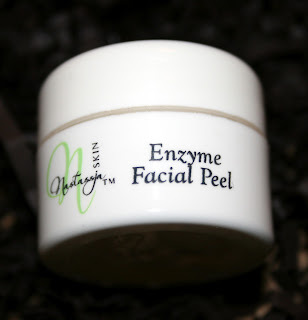 Sample size is .25oz valued at $10.00. 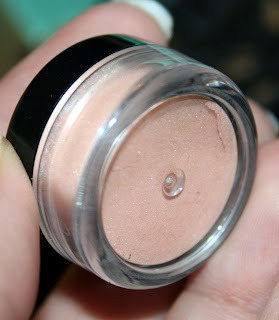 Next is a Silk Naturals Eyeshadow. It's a loose mineral shadow and I believe the colour is actually Cloudberry. 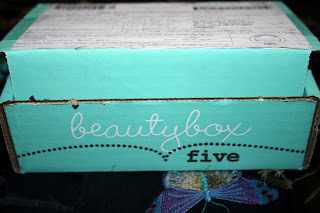 I love getting shadows in beauty boxes!! Full size retails for $4.00 for .18oz. I believe this is the full size. This is the pretty colour Cloudberry. 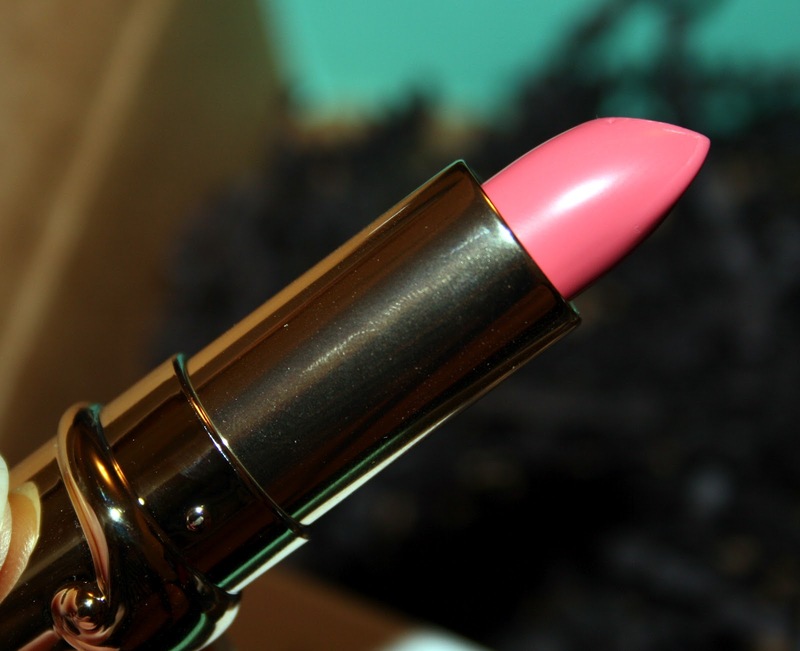 A peachy suede pearl colour. It's actually VERY close to the peach one I received in a previous box. I'm really content with that because the colour REALLY makes my green eyes pop! What do you think of the colour? Next up is the Goat Haus Dairy Bath Melt in Angel Kisses. I LOVE taking baths, usually with tons of bubbles! I love bath products so I'm super happy to try this out. It seems pretty big to use for one bath time so I will probably wind up cutting it into 4 cubes. This is a full size product that retails for $2.50. 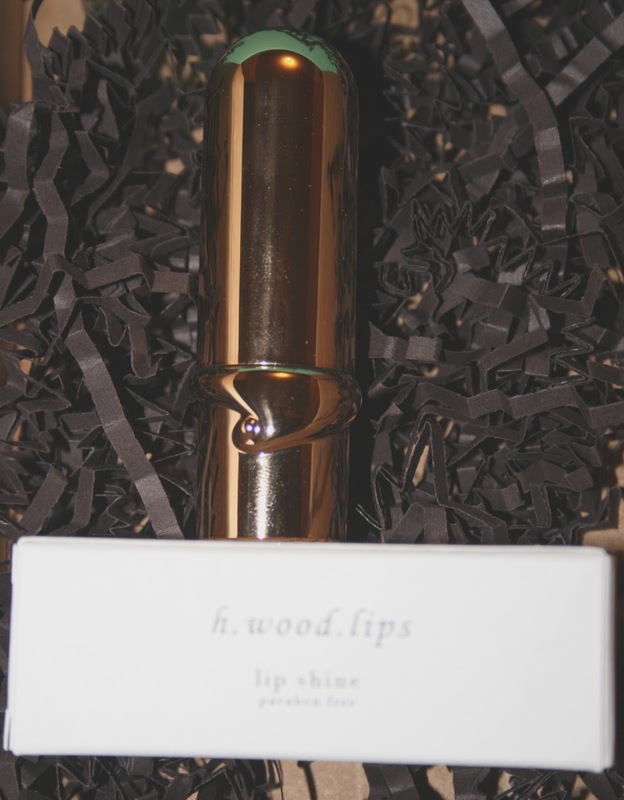 Lastly, was a H.Wood.Lips Lip Shine. 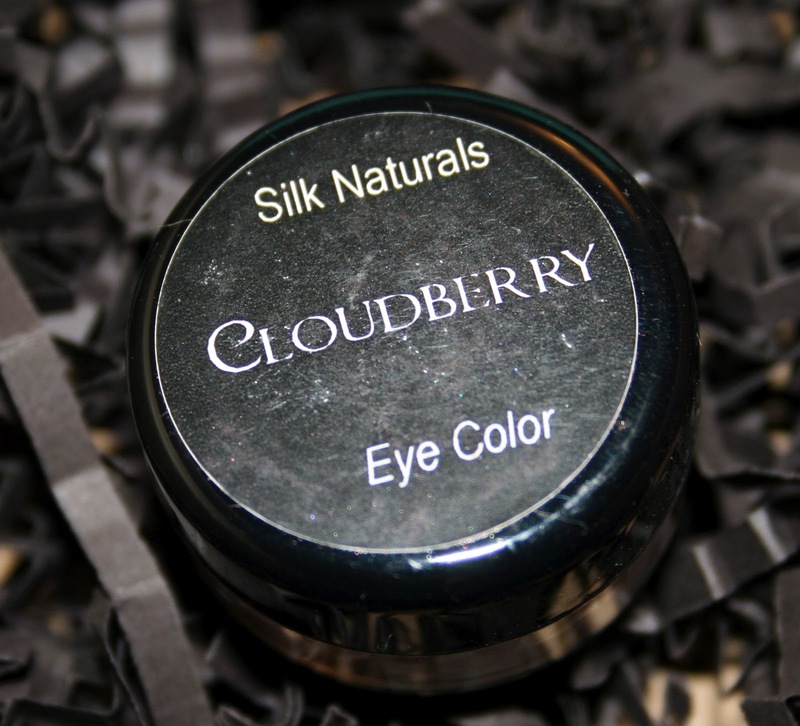 It's a hydrating sheer colour that has jojoba oil and mango, avocado and shea butter. I'm happy to get this of course. It looks like a nice pink, right? It's actually extremely sheer. The colour is rose. It's a full size product that retails for $16.00. This is the colour I got on my hand and this was after 10 firm swatches back and forth. So, on lips, you can probably tel this will be pretty sheer. 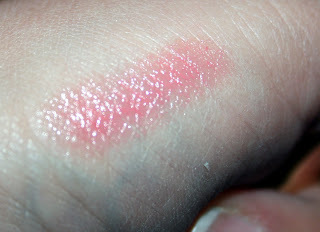 On the plus side it has a nice shimmer. I haven't tested it on my lips because I'm always trying a lip product or something I have and just haven't got to this yet! Story of my life! Well! This was the whole BB5. 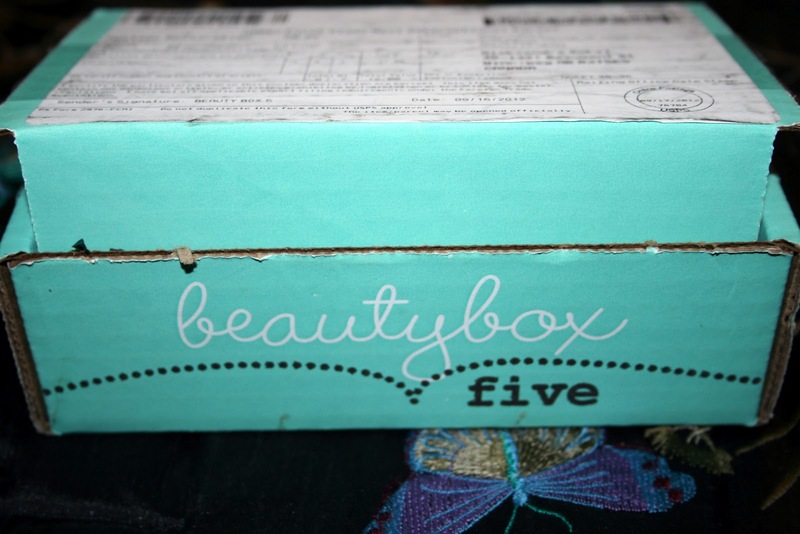 The value of the box is approximately $35.00. It's a good one and I was happy with the variety! BB5 is doing a great job! Happy Thanksgiving my lovely Canadian Friends and Followers! Thank you Jayne, it was a nice quiet family affair! I hope you did as well!